Majid Jordan keeps it comin’ with their latest video of last summer’s 5-track EP, A Place Like This. And I was excited to see it was for my favorite song off my favorite R&B project of 2014: “Forever”. This is different than the OVO duo’s previous set of visuals. I was expecting a dark edge or ultra clean, minimalist presentation, but the most upbeat song on the project instead gets a video that focuses on one very good dancer. Dude has the Usher glide down. (Can someone teach me this? I’ll pay.) The dancer keeps the same outfit around various cool places — some within nature, others showcasing amazing architecture as well whether it’s a church or a library. I double enjoyed the video because the lyrics of the song just make you want to dance if you have that special someone you are crushing on and before the video, I didn’t think of that visualization. I guess I had a eureka moment by the end of the video. I also had a throwback comparison to the “Forever” video… remember Dirty Vegas’ “Days Go By”, which is now almost 14 years old (fourteen!). I’m sure I’m not the only one who could draw the parallels. Regardless, another superb direction for Majid Jordan’s latest video, this one coming by Common Good. Great to see a new visual off one of my favorite projects in any genre to drop this year — Majid Jordan’s A Place Like This. “Her” is the beginning of a darker, slower sound on the EP, the bridge track of the 5 on there. The visual is a clean black and white aesthetic with some subtle effects that create for some really amazing stills. I like how it builds up to the ending as the video does the power of the song justice. Peep the OVO duo up above and hopefully we get more videos off the project too! Above: Tim Duncan celebrates his 5th championship… or his 1st Gowhere NBA Award? The 3rd Annual Gowhere NBA Awards honor the league’s brightest superstars and elite teams… with fake music awards I made up to connect the two things I love most: hip hop and the NBA. Seriously this is a thing. And it’s really the 3rd annual. Last season, for example, I dubbed the Golden State Warriors as the winner of “The TDE Award” for the team ready to take the next leap. As it played out, both teams didn’t make the next leap because of a 1st round exit and an absence of Kendrick Lamar’s sophomore album. See? I’m great at this. Let’s start off on a positive note — the narratives of Russell Westbrook and Kendrick Lamar turning a new chapter. As even the casual follower knows by now, last season’s MVP Kevin Durant has been sidelined indefinitely into December with a Jones fracture in his right foot. Durant said in a recent press conference that he plans to take his time with recovery, as he also takes his time ridin’ dirty around OKC practice in a scooter. This leaves the OKC Thunder to fight for itself for the first quarter of the season without its superstar, and to be led for, really the first time, by its other superstar: the uber-talented, yet oft-maligned Russell Westbrook. Westbrook played only 41 minutes without Durant last season: http://t.co/05Elp26MdV Attempted 35 (!) shots in those 41 minutes. Doesn’t that make you excited for Westbrook unleashed? Will he attempt 30 shots a game? Or show off improved point guard skills in a concerted effort to prove critics wrong? Considering Westbrook admitted during media day that he doesn’t know what a MEME is, I doubt he’s the type that takes any critic’s opinion beyond acknowledgement. This is a MEME, Russell Westbrook. From your post-game interview, which is in the post-game interview hall of fame. Whatever the case, I am oddly more excited to watch OKC now with Durant injured, just to see what it would be like to watch a Russell Westbrook solo act for an extended period of time. Don’t get me wrong, I hope this only lasts for the first month, but the time is now for Westbrook to transform his narrative. Call me a doubter, but I think he’ll only strengthen it. On the other hand, the namesake of the award is Kendrick Lamar’s first single to the long-awaited, hotly-anticipated, [insert other hyphenated adjective here because it’s that anxiously needed] sophomore album. “i” centers around a theme that many first singles dare not circle: self-love. Any casual listener will gain at least one takeaway: Kendrick Lamar loves himself. Hopefully at least one more too: love yourself. Kendrick’s single is still in my rotation and will assuredly be stuck in our heads as the NBA kicks off Premiere Week on TNT. I know I’m probably not the first one to make this comparison, but “i” reminds me of Kanye’s “Jesus Walks” and I hope it propels Kendrick to another level of stardom alongside what the rest of his sophomore album can potentially deliver. At the top of the month, Childish Gambino released a surprise double project, S T N M T N / Kauai. The former was a free, rap-focused mixtape that found Gambino doing familiar things over the likes of “Go DJ”. The latter, Kauai, was an EP where the profits went to keeping the oldest Hawaiian island clean. It was also the first project where Gambino was singing the whole time. Now, Gambino singing is nothing new. He’s been harmonizing since the days of “Lights Turned On” (one of his catalogue’s best tracks, imo.) The singing has progressively become more prevalent with each album and started to inspire Drake comparisons, to which Gambino replied, “This n***a think he Drake.’ Nah, I ain’t Drake. I sing better, I do better, my s**t’s wetter.” in an in-show call-out of Drake, Kendrick, and Schoolboy Q this summer. Regardless of who’s better, Gambino took an element of his craft and displayed it, with large success, on a whole other level with Kauai. That’s where the connection with Blake Griffin begins. Hear for yourselves first, and press play on my favorite track of the project, “The Palisades” (named after the L.A. district where Gambino rented Chris Bosh’s mansion for the summer). In fact, the Gambino-Griffin connection began much earlier. Sometime circa 2011 after Gambino’s #1 Blake Griffin rap reference connected the two in person. The element of Blake Griffin’s craft that took a large leap forward last year was his jump-shot. It led to a career year in scoring, highlighted by his 27.4 PPG when Chris Paul missed 18 games in January. His jump shot from 10-16 feet improved from 36% to 40%, his jump shot from 16-23 feet improved from 34% to 37%, and even his 3-pointers from 17% to 27% (albeit on less than an attempt a game,) per Basketball Reference. So, like Gambino’s singing, the jump-shot is now a known part of Griffin’s arsenal. Look for it to take a Kauai-level jump this season, if the preseason is any indicator. Midway through the first quarter of the first pre-season game, Griffin swished a corner 3 in rhythm, en route to hitting his first 6 shots. 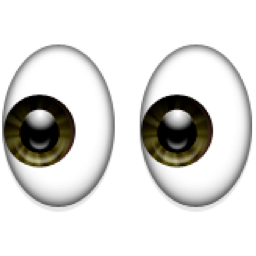 I was watching it live and had the big eyeball emoji going. The performance inspired a superb, detailed investigation about the improved balance of his shot by SB Nation’s Mike Prada. The one game case study was backed up in the rest of the preseason, culminating in Griffin’s 21 points in 25 minutes this past Friday vs. the Blazers. With a lot of these Clipper games on NBATV, I was able to easily track the consistency of Griffin’s fluid, no hesitation jumper. The points have been there, the jumper passes the eye test, and though the Clippers announcers may be biased, it’s also noteworthy that they are also genuinely impressed at Blake’s improved jumper after watching his career’s every game. I think the jumper will carry over to the season and propel Griffin in the MVP race as my #2 candidate behind LeBron James. If the Cavs falter, I don’t think it’s out of the question that between Griffin’s improved individual success and the team’s chances at a top 3 seed, Blake can be the league’s MVP. On top of that, Griffin is already the #1 MVP candidate of sketch comedy. Strong pre-season from Griffin, to say the least. The junkies know who I’m talkin’ about. If you’re neither a hoops junkie or a hip hop junkie, that’s OK. I’m here to educate you that Elfrid Payton may be the next Rookie of the Year and an eventual perennial all-star point guard out of the east. And that Raury may be music’s Rookie of the Year already, who’s drawn all-star comparisons to fellow ATLien Andre 3000 that the man himself calls “fair”. Perhaps coolest of all: both came out of nowhere this summer. Elfrid Payton’s story is really just one chapter in, compared to the two or three Raury’s is thus far. The lead chapter already indicates bright things ahead in future pages. Payton is a 6’3″ guard who played at non-descript Louisiana-Lafayette, but did enough to impress scouts and land at the #10 overall pick in this year’s draft by the Orlando Magic. He is not even 21 years old yet, but is prime to start the season opener and lead the Magic backcourt in the wake of Victor Oladipo’s injury. On the new Grantland Basketball Hour show on ESPN, Bill Simmons likened Elfrid Payton to a rookie Russell Wilson, in the vein that he’s the young leader that the team has already gravitated towards. Simmons even went as far to bet Jalen a lobster dinner that anyone but Jabari will win Rookie of the Year, with Elfrid Payton being his pick. I think Jalen’s getting that free meal come April, but that speaks more to Jabari’s NBA-level talent and opportunity with the Bucks than it does Payton. Around the time of the NBA Draft, the mainstream was not only getting to know Elfrid Payton, but Raury, the Indigo Child, as well. The video release of “God’s Whisper” dates back to April, but it wasn’t until a photo this summer of Raury with Kanye West drew thousands more views to the fitting first impression of the 18-year old star in the making. It was “God’s Whisper”, possessing a hip hop production similar to ‘Ye’s Graduation work, that garnered Kanye’s attention. 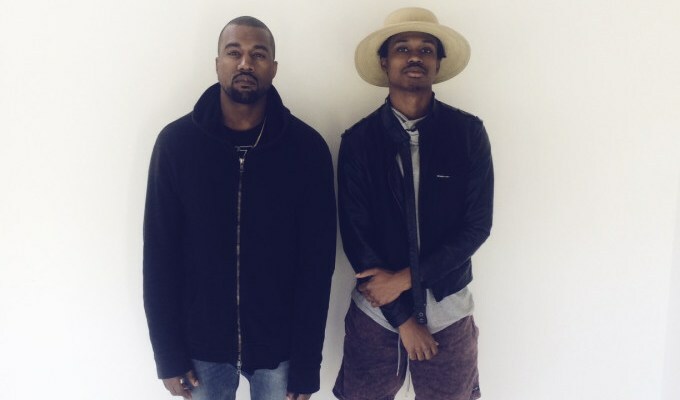 In fact, the Kanye effect was how I found out about Raury. I digested the full Indigo Child project on the August night of its release, after watching “God’s Whisper” for the first time. I was impressed with Raury’s perspective beyond his years and how his heart and positive intentions spilled out onto the art. Accompanied by well-done visuals, the project has sat with me these past few months, with a handful of the tracks remaining in my rotation. Though Raury shows his rapping skill across songs like “Armor” and “Superfly”, I think the greater potential in his career is when it’s just him singing with an acoustic guitar. “Superfly” is the song that best balances the rapping, singing, and guitar and is the one song with the most universal lyrical appeal too. Perhaps its inclusion here, in a discussion of how he and his NBA parallel prepare to take flight, is most fitting as well. I can’t wait to see where both Elfrid & Raury are at the end of the 2015 season. I’m here to dissect Drake’s Raptors for this season… and beyond. Last year, the roster collectively got their first playoff experience with an intense 7-game series with the Brooklyn Nets, who proved their equal since the series literally went down to the last second. The loss is not without its silver linings, however. Basketball is back in Toronto as “We The North” has doubled to personify the city’s feelings of being overlooked and galvanize national pride. For the team itself, one can first feel comforted that NBA history clearly shows baby steps are necessary in the climb towards the championship. Bitter playoff defeats usually create a clear hurdle for a team to jump it the next year, if they retain a young, growing core. That’s just what the Raptors did this off-season. The roster is largely the same, after answering the summer’s big question mark with the re-signing of point guard and team leader Kyle Lowry. GM Masai Ujiri curated two improvements too: the signing of James Johnson to replace John Salmons and the sneaky good acquisition of one of the league’s top bench heat-check guys, Lou Williams. The Raptors will ride this improved depth, as Grantland’s Jared Dubin dissects, and continued internal development of contract-year starters Jonas Valanciunas and Terrence Ross, to win the Atlantic Division again and earn a top 4 seed. My favorite line from one of Drake’s 3 new tracks this past weekend, “6 God”, is when he breaks into song with “I’m not new to this” (x 3). I’ll admit it, I’ll admit it, I’m imagining the Raptors starting 5 blaring this aloud in the locker room throughout the season and into April as their playoff anthem. The Raptors are now NOT new to this, however. The expectation is to advance in the playoffs. And Masai has one “How Bout Now” moment he can create by the trade deadline. Toronto has $28 million in expiring contracts, as pointed out via The Starters, and can use a combination of those players to trade for an impact player. I can’t predict who that may be, but as things always twist and turn during the season, a player may present himself as a welcome fit/injury replacement to bolster the Raps. Ujiri has proven he’s the aggressive type to make that move. Well, this award just blew up your Gowhere NBA Award Pool. I know it. Adjust your scorecard because the Toronto Raptors do indeed possess the highest total of Gowhere NBA Awards. Alas, in the much debated, highly entertaining “Best Backcourt Duo in the NBA” discussion at the start of training camp, the Wizards’ John Wall & Bradley Beal first made their claim publicly. Dion Waiters said he and Kyrie are the best and provided proof in the form of: “Men lie women lie BUCKETS DNT” and a YouTube video of his 24 point performance over said Wizards. Steph Curry & Klay Thompson didn’t say anything, just posed with their Gold Medals, as experts almost universally anointed them as the Best Backcourt Duo. While I’d agree with the Splash Brothers pick, I also noticed that many forgot DeMar DeRozan and Kyle Lowry should seriously be in the discussion. DeRozan earned his first all-star selection last year that felt interchangeable with his backcourt mate Kyle Lowry, who just started to emerge as the Raptors’ fuel to the fire post-Rudy Gay trade. Lowry played better as the season went along, putting up career numbers with 17.9 PPG and 7.4 APG. I hesitate to predict he’ll improve on those numbers, but that’s more a testament to his large jump to get to those numbers — the first time he was able to be that consistent over one full season. I don’t, however, hesitate to predict more improvement from DeMar DeRozan, given his youth and the Team USA effect. He has had all of the tools to become a dominant scoring swingman and for the first time in his career, DeRozan starts the season as the clear #1 scoring option for his team. Last season saw 22.7 PPG on only 43% shooting, 30% beyond the arc. Look for a slight uptick in his efficiency. So to me, DeMar & Kyle are more under the radar than not, when seen in the scheme of the entire league. This also holds true for the namesake of the award in the music game: Majid Jordan. Plus, how can you not appreciate the (contrived) parallel to keep everything OVO x Toronto? Unpopular opinion alert: Majid Jordan is the best OVO artist to drop since the summer. The statement has nothing to do with Majid Jordan being poorly received either. I have really only seen positive reviews in my scope and research, in fact. But it’s clear that the masses would prefer their PARTYNEXTDOOR or say, iLOVEMAKONNEN, given the digital hysteria over the two solo R&B artists since August that has translated to both separately headlining the legendary SOBs in New York City in just the past week. Prior to PND & Makonnen’s deserved splash, Majid Jordan dropped what time has proven to be my favorite R&B project of the year. I explained why this past July at the time of release of the 5-track A Place Like This EP. Simply put, I highly suggest the quick 22 minute stream below. I also highly hope for a creative live show along the vibe of the “Place Like This” video and another project from Majid in 2015 that I don’t doubt will make their blip even brighter on the radar. You can expect some awards (once again, fake awards) handed out to Kobe Bryant (so he doesn’t death stare me), the Western Conference contenders (yup, all of them), and my hometown Bulls (of course.) I’ll also have more Playoff predictions, more music for your playlist, and more attempts to make you laugh. Now let me hear your predictions! In the meantime, create a quick profile and drop a comment in our NBA Talk message board. The video’s going upppp… just in time for Tuesday. Makonnen & Drake were undoubtedly going to drop a visual for their summer club smash and the world’s intro to the new OVO singer. The video features a cool dim-lit club scene, naturally, with some outdoor L.A. visuals mixed in with cinematic pans of other beautiful international cities (think Rio & Sydney). Though I haven’t ate this one up like the masses, there’s still that feel-good vibe that comes with “Tuesday” and the video matches that. OVO’s Majid Jordan & OB OBrien also cameo. BONUS: Drake related. Him and Kevin Hart hilariously jabbed back and forth on Instagram today in the fallout of the loudest airball of 2014. I gotchu below. ICYMI: Drake’s “How About Now” leak is taken down. Drake’s annual homecoming for OVO Fest took place last night and it wasn’t short on surprise guests. How about this for a rolodex? J. Cole, G-Unit, Usher, YG, Tinashe, DJ Khaled, his OVO Crew: PARTYNEXTDOOR, Majid Jordan, and OB O’Brien, Trey Songz and even Lauryn Hill. Not in attendance: Kendrick Lamar, as you may assume, but Drake did shout him out. The star-studded affair also included Drake “flying” above the crowd performing “Marvin’s Room”. Lowkey, I’ve always wanted to see someone perform above and with the crowd… but if I were Drake, maybe choose a song like “Started From The Bottom”? Still, very cool. Peruse the various clips for your fix below (and the best image to come out of OVO Fest). Now, I’ve had the weekend to sit with the 5 new tracks and wow, I haven’t been floored by a project like this in 2014 with the exception of Kid Cudi’s Satellite Flight. I hope that statement alone inspires a press of a play button, but nevertheless, I’m excited to elaborate. Rewind to Saturday, when I posted the EP’s intro track “Forever” and was pleasantly surprised to discover a moderately upbeat sound I likened to a choice for a hip, high-end fashion store. Similarly, this is a feel-good record for cruising in the car, whether with the windows down and the sun up, or the downtown night lights overhead. So, how would Majid Jordan go from these faster tempos and warmer vibes to the darker mood of the title track conclusion? Eager to find out, “All I Do” started that transition by mixing in solo, minimalist moments within an otherwise synth-dominant mid-tempo. Lyrically, the first two tracks centered around a theme of infatuation as Majid’s voice reigned powerfully and stretched effortlessly for long notes. The hooks of “Can’t stop the way that you make me feeeelll, something about this just feels so reaaaalll..” and “All I ever do is think of youuu.. too much (you mine, you mine)”, respectively, connect chiefly due to its concise realness supplemented by those long notes. The production pounds at the right times allowing for Jordan to shine and reel in the listener to the rest of the journey. The EP’s third record “Her” acts as the lyrical and sonic bridge into the latter half of the project. Majid croons, “I’m glad we made it this far, sometimes you just don’t know” about his love being reciprocated. The track’s melody still has elements of the energy of the first two tracks, yet it’s noticeably a tier below them for the project’s transition to also begin sonically. In fact, the transition happens within the record itself as Majid’s last bridge is a signal to take things to the bedroom. The excellent 1.5 minute instrumental outro is a your snooze-button reminder to paint the picture even more clearly. Perhaps now you’re awake to the greater story at hand as we arrive at “U”: the project’s slowest R&B jam, its production at its minimalist peak, and the turning point of the story that reflects on the lost love of the previous three records. Another memorable, simple chorus begins, “I carrreeed for you (when no one did) I sweaaar to you, I still do” with more lines in the pre-chorus spoken in the past-tense and hitting home to any fellow over-thinkers out there, “I’m hoping, I’m not the only one that keeps recalling, all those memories, that used to happen so often”. I was convinced up to that point already, but now I’m really convinced that Majid Jordan’s songwriting is one of the best balances I’ve seen of describing a relationship situation with a mix of specificity and non-cliche, succinctness that above all is real. Otherwise, without this balance, it wouldn’t flow so naturally. That’s why I think any casual listener can appreciate A Place Like This, no matter if you can’t parallel with it. Cause I swear it’s not better than what I would do.. This is how A Place Like This masterfully ends, bringing the story to a close that I only wish had a few more chapters to it. Yet, there’s an art to the EP ranging 5 records and the logical sentiment says that the length was perfect for the story. I’m just left wanting more, which is a feeling for this music fan that’s becoming increasingly harder to capture in this digital age of non-stop consumable music. I’d also like to commend Majid Jordan for delivering this continuous story with the emotional highs and lows complimented by the appropriate cutting-edge sounds and melodies. It’s hard enough to successfully tell a story across an entire project, but to deliver it for consumption with the conclusion first (again, the “A Place Like This” music video) created a Memento-esque enlightening feeling and extra meaning to “A Place Like This” — both the song and EP, in perfect full-circle fashion.